HEATHER Carey has been watching her Emu Vale property turn to dust, but the chance to share a laugh with Karl Stefanovic this morning was a welcome wave of relief. Having a "cackle on camera with Karl", Mrs Carey and a troop of QCWA volunteers showed the whole nation that laughter really is the best medicine when times are tough. Mr Stefanovic had our local ladies in stitches when he staged an impromptu laughing competition on live television in Warwick's Leslie Park this morning. "It was good fun, it just takes the mind off the drought for a bit," Mrs Carey said. Despite the early start and freezing temperatures, Mrs Carey couldn't miss the chance to see the charming Channel 9 news presenter who brings her the headlines most mornings. 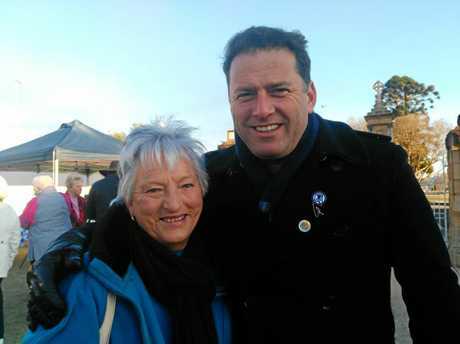 She was one of the dedicated QCWA Border Division volunteers who dropped everything to provide amazing home-style hospitality when they found out Mr Stefanovic and his TV crew would be rocking up in our town. "He was really good, he is just such a nice chap and really down to earth," she said. Mr Stefanovic announced Warwick would be co-hosting a huge telathon to raise money for drought affected farmers on August 20. 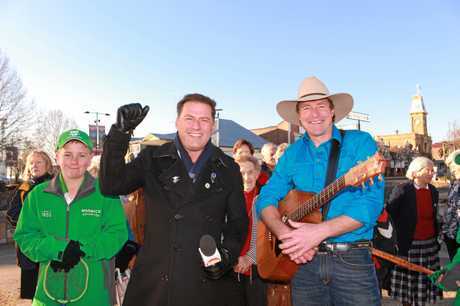 Southern Downs mayor Tracy Dobie said showcasing our town on national television was a chance to show the country how resilient our community is during the drought. "I hope they portray the resilient and strong people we have in our region - the landowners, business owners, mums and dads and children," she said. Cr Dobie said Mr Stefanovic sent a message that is was still ok to have a laugh. "People do like to have a laugh and that is one of the ways we cope in difficult times. That is one of the good things about the Today Show." 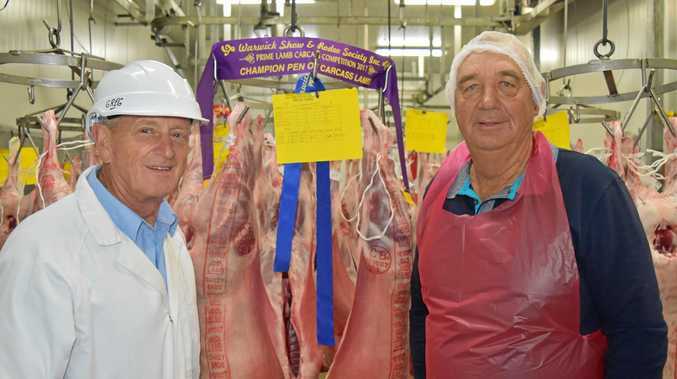 The QCWA have also been raising money to help drought-affected communities through the Public Rural Crisis Fund, which provides store credits, vouchers and bill payments for people who are financially affected by drought. "If they are given a card that they can use like cash, they are able to buy what they need and they are also supporting the shops and businesses in their local towns," QCWA Border Division publicity officer Jenny Whitsed said. "It helps keep the local economy going." You can donate to the Public Rural Crisis Fund by visiting the website.